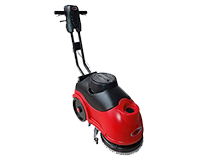 If you are looking for an industrial reconditioned scrubber dryer then look no further than right here, at Clean Hire! With many years of experience, specialising in supplying and servicing a range of industrial cleaning machines, we can help find the right machine that suits you. Cost – If budget is a potential obstacle, it will be beneficial to look at a refurbished machine at a lower cost to a new one. 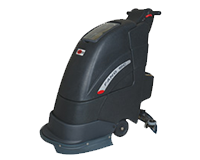 Peace of Mind – Refurbished/reconditioned scrubber dryers have to undergo extensive checks and are essentially stripped down to their bare parts before being put together again and thoroughly tested. Clean Hire supply scrubber dryers from today’s leading brands and we are happy to assist you if you have any queries on the products. We can advise you on delivery and are on hand for any information or advice which you may require. Simply give us a call today on 01744 633738 to speak with our industrial cleaning product experts. Alternatively, you can also email us instead at info@cleanhire.co.uk for a quick response.